Shadow Black 2017 Ford Focus Titanium FWD 6-Speed Automatic with Powershift 2.0L 4-Cylinder DGI DOHC Rusty Eck Ford Inc is offering this 2017 Ford Focus Titanium, ***ONE OWNER***, ***ACCIDENT FREE***, ***BLUETOOTH***, ***160 POINT INSPECTION***, Focus Titanium, 4D Hatchback, 17`` Aluminum Wheels, Automatic temperature control, Equipment Group 300A, Exterior Parking Camera Rear, Navigation System, Power driver seat, Power moonroof, Power windows, Rear Parking Sensors, Remote keyless entry, Steering wheel mounted audio controls. 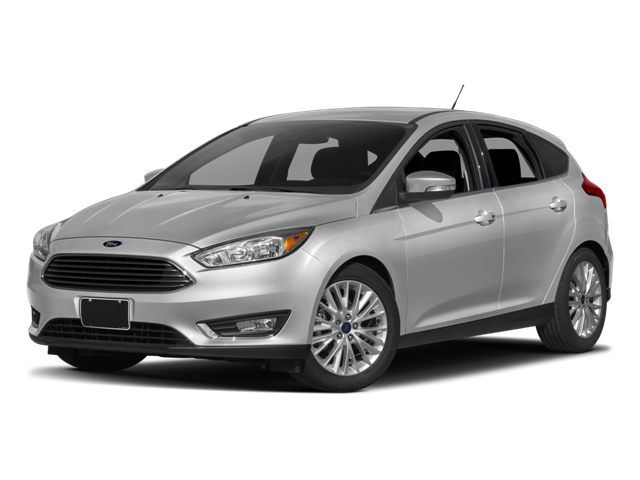 Hello, I would like more information about the 2017 Ford Focus, stock# P7483. Hello, I would like to see more pictures of the 2017 Ford Focus, stock# P7483.